Chrome dentures get around this by deriving much of their support from the adjacent teeth. As can be seen from the photo opposite, clasps and metal rests can be used in the plate to increase the tightness and stability of the plate. This will increase the comfort to the patient and also allow the denture to be made much smaller. 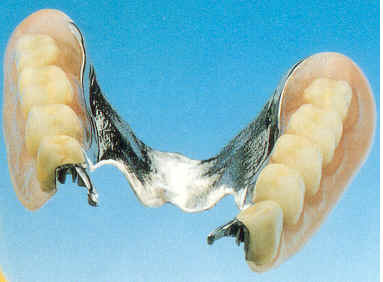 Chrome dentures, if made properly and kept clean, will not aggravate the gums and cause further tooth loss. 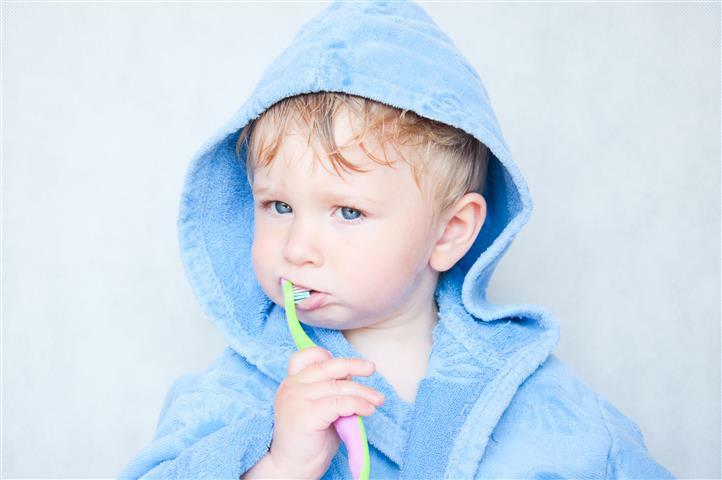 They often do not cover the palate, thus allowing the patient to taste food more easily. Only a clinical examination can determine which is most suitable for each individual.